So what do you prefer - sunrise or sunset? Why? As I mentioned in yesterday's post, I tend to prefer sunrise to sunset, though sunsets usually have a little more drama happening in the skies. In this case, sunrise was the champ that day, and thank goodness I was in the right place with my camera! I like sunrise better for one reason - it feels like I am the only one in the world. 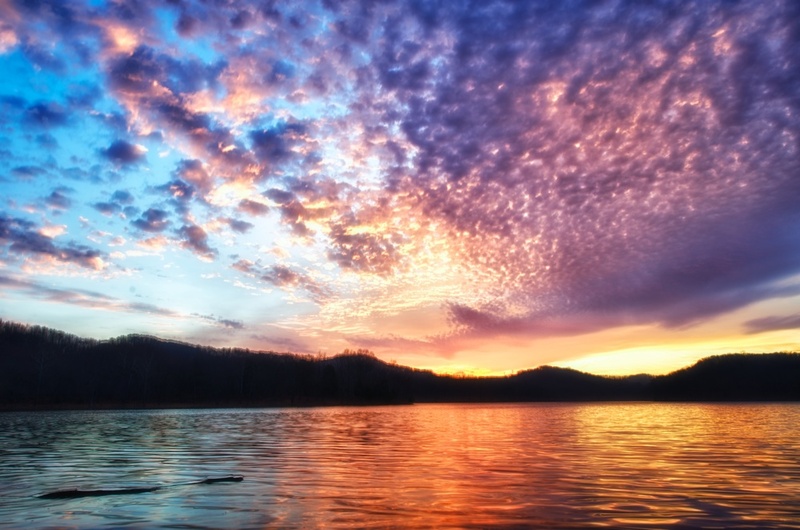 Especially when I am somewhere like this (Radnor Lake outside of Nashville, TN), that feeling is magnified. Everything is quiet, and still, and awesome. And for those that are monster-curious, no that is not Nessie or her cousin on the left there, just a tree branch. Dang! That would have been something!